Hello, I am an outgoing, lively person that embraces life. My life has opened up an opportunity for me to travel while doing something positive such as care for a person's home/pet. Having owned 2 houses and a farm, I realize the importance of good care of the property. I am meticulous in my cleaning and neatness. I know how to handle issues quickly as they arise in the home. I have handled shoveling deep snow, leaking roof, utility problems, built rooms from the ground up and am very resourceful. I am also known for spoiling pets with love, as I like to think of them as family members. I have prepared special food for animals that have needed unique care, administered medicines, and groomed the animals under my care. The most challenging part of my stay and care of the homes and pets (family) is falling in love with them and having to leave. I have many references and a police background check I can provide for your comfort. 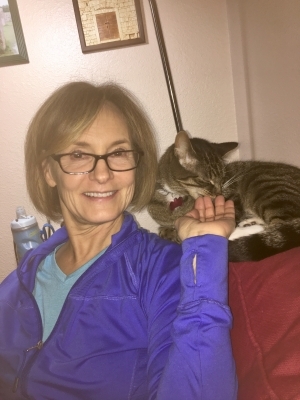 Missy took care of my home and three cats for one week in November 2015 and she was fabulous. I think the house was cleaner when I returned than when I left, she washed the sheets and towels she used and sent me text reports on what the cats had been up do. I couldn't ask for anything more and wholeheartedly recommend her as an excellent house and pet sitter. You would be lucky to have her!